Chris has a vast amount of experience in many different aspects of the equestrian world. A former international three day event rider with top 10 placings at both Badminton (7th) and Burghley (8th) , Chris began his racing career as assistant trainer to hugely successful Lambourn Trainer Nicky Henderson. During this time and beyond, Chris had a successful decade or so as an amateur jockey riding 71 winners in all, including two at the home of National Hunt Racing, Cheltenham. 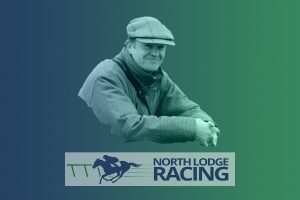 Chris had a 15 year spell as a National Hunt trainer , producing over 100 winners which included Surface To Air winning the English Summer National and being a creditable 8th in the 2011 Grand National after 3 years off through injury, and Chac Du Cadran winning the North Yorkshire Grand National in 2013. Between them, Chris and Antonia have also trained over 100 point to point winners and it is this aspect of the sport that Chris will now concentrate on having transferred his NH licence to Laura Morgan in 2016. Antonia is a qualified veterinary physiotherapist who also holds equine sports massage and chiropractic certificates. 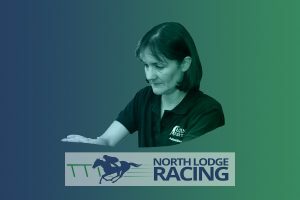 She is fully insured, a member of IRVAP and has over 20 years' experience competing, training and working with sport horses. Her expertise covers post injury care, exercise prescriptions, re-schooling and re-educating movement. Antonia has a passion for understanding the whole horse and finds the link between behavior and physical problems or limitations a fascinating one. She is constantly working to improve and update her knowledge and regularly attends training days and conferences, as well as working closely with other professionals, such as vets and farriers, to achieve the best possible results for every horse. We have very limited spaces for up to four point to pointers and-or pre-training horses. All our horses are looked after and ridden exclusively by ourselves, ensuring the best standards of riding and care at all times.